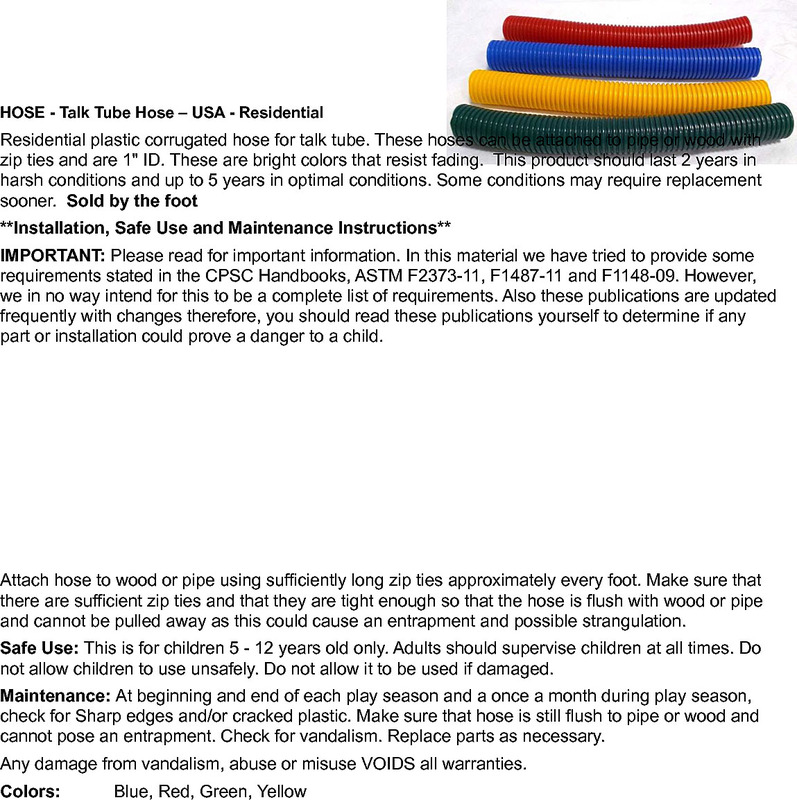 These TALK horns are amazing, you can hear a whisper.They are made from polyethylene and come in bright colors.They are 19" in length, the large end is 4" Id and the small end is 7/8" Id.Hose sold separately by the length needed.This product should last 2 years in harsh conditions and up to 5 years in optimal conditions.Some conditions may require replacement sooner.Weight is .70 per pair.Sold as a pair. Horns have two buttons at the bottom.The buttons should be pressed into a 1" tube and secured with a zip tie.Horn should then be secured to beam with zip ties so that horn is stable and cannot be removed or pose an entanglement.Entanglement may cause strangulation.Repeat process with second horn. Maintenance: At beginning and end of each play season and once a month during play season, check plastic is not cut or cracking.Check that horn is securely attached to support and hose.Replace parts as needed.